Experience southern charm & hospitality on this 5-day tour to Tennessee. Start with 2 days in Memphis, the home of the blues. 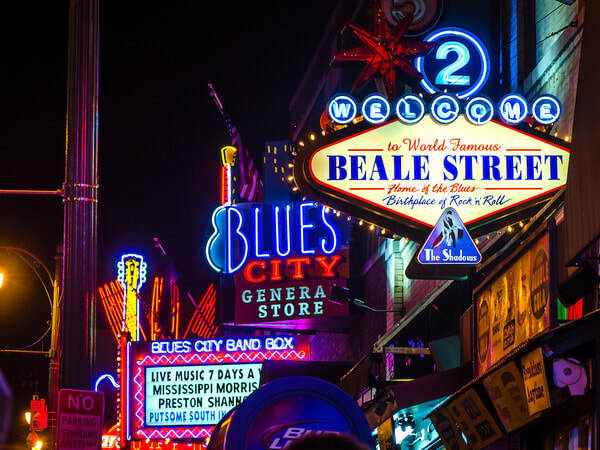 Walk in Elvis's footsteps as you tour Graceland, Rock 'n Soul Museum, Sun Studios, the Peabody ducks, and of course the famous Beale Street in Memphis. 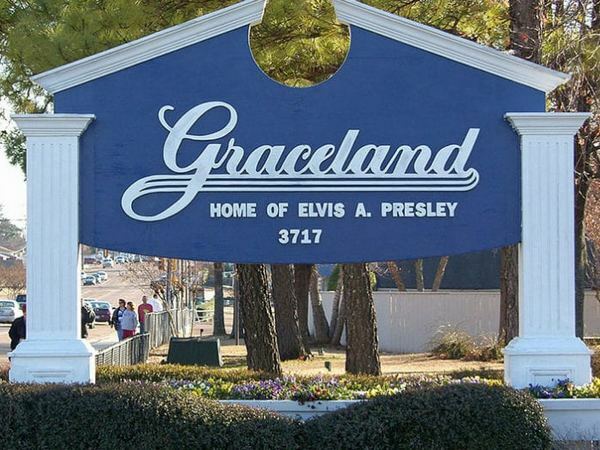 Live like the "King of Rock and Roll" during our 2-night stay at the new Guest House at Graceland. And then it's on to Nashville but before we get there, stop and tour Loretta Lynn's plantation home and museum and enjoy a lunch at Loretta Lynn's Kitchen. And then you arrive in America’s Music City! 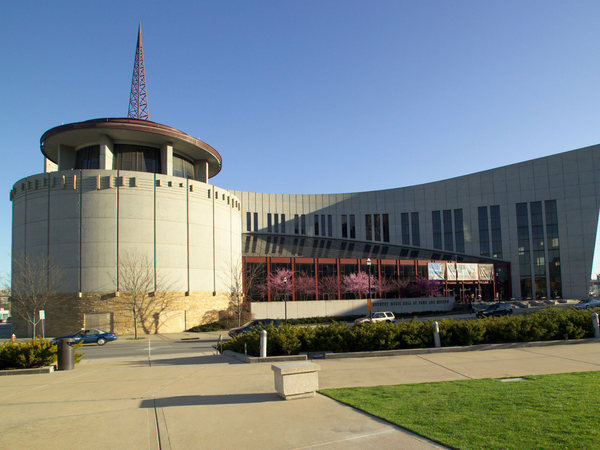 Get immersed in the rich history of country music as you tour Nashville's Music Row, the Country Music Hall of Fame and the historic RCA Studio B. Experience a live show at the Grand Ole Opry, Nashville's must-see attraction and enjoy a 2-night stay at the extravagant Gaylord Opryland Resort. $100 deposit per person to reserve a seat. Tour starts in Memphis and ends in Nashville. Prices shown do not include airfare. See flight arrangements section below for more details. Deluxe bus and local tour guide for duration of tour. 2 nights accommodation at the new Guest House at Graceland. 2 nights accommodation at the fabulous Gaylord Opryland Resort. 7 meals (4 breakfasts, 1 lunch and 2 dinners). Airport transfer from Memphis airport to Guest House at Graceland. 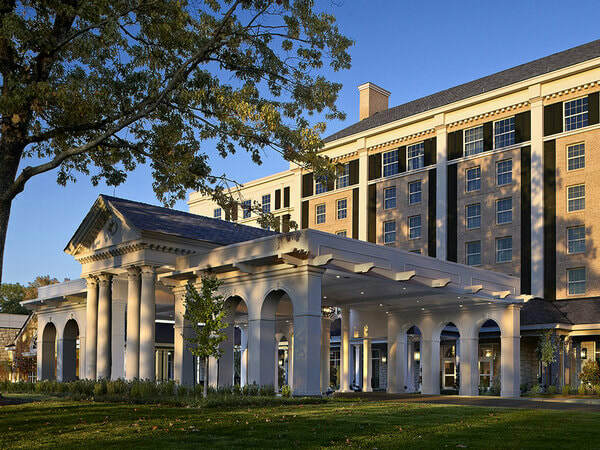 Airport transfer from Gaylord Opryland Resort to Nashville airport. Guided tours of Memphis & Nashville with local tour guide. Admission and evening performance to the Grand Ole Opry. Guided tour of RCA Studio B, home of 1,000 hits. Stand where Elvis himself stood to record over 200 songs. Admission to Memphis Rock 'n Soul Museum. Admission to the full Elvis experience at Graceland. Admission and tour of Sun Studios. Visit to the Peabody Hotel for their famous afternoon duck march. 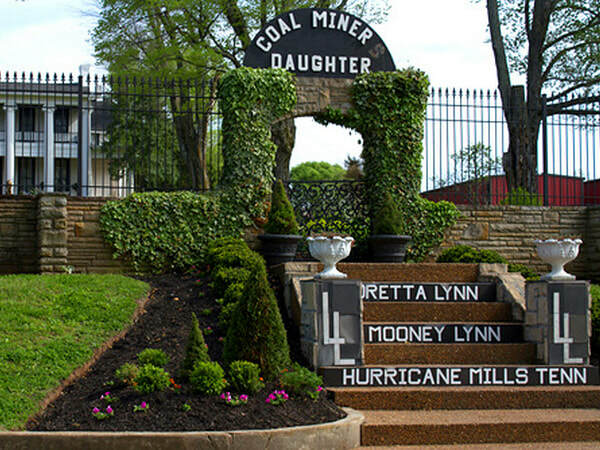 Admission and tour of Loretta Lynn's Plantation home & museum. Admission to Country Music Hall of Fame. ​All tips & taxes included. $100 deposit per person to reserve a seat. Deposit is non-refundable. Full balance due Aug 8, 2019. Reminder emails are sent closer to the due date. Prices below are per person in Canadian dollars. All taxes and tips are included. Air fare to/from Memphis & Nashville is NOT included. ​You will need to purchase your own airline ticket as follows. You are welcome to make your own flight arrangements or please call Marville Travel at (905) 891-0111 and one of the agents will be pleased to book your air travel. From Toronto to Memphis on Sept 25, 2019, arriving in Memphis by 1:00 PM. From Nashville to Toronto on Sept 29, 2019. If you will be joining us for the optional General Jackson Sunday Brunch Entertainment Cruise, please book any departure leaving at 5:30 PM or later. If you will not be joining us for the brunch cruise, then book any flight that suits your schedule. The first day of the tour is Wed Sept 25, 2019. Please plan on arriving in Memphis any time before 1:00 PM on Sept 25, 2019. Our airport transfer bus will depart Memphis International Airport at 1:30 PM that day and we have a busy remainder of the day planned for you. Our hotel, the Guesthouse at Graceland, is only a 10-minute drive from the airport and taxi fares are about $10-$15 so if your flight arrives earlier in the day, you may wish to consider catching a taxi to the hotel rather than waiting at the airport for the bus but the option is yours. Note that hotel rooms may not be available for check-in earlier than 3:00 PM but you can leave your luggage with the Bell Desk if you do arrive before your room is ready. The last day of the tour is Sunday Sept 29, 2019. There is one optional activity on Sunday -- -the famous musical brunch cruise on the General Jackson Showboat. The cruise runs from 12:00 Noon to 2:30 PM. More details are provided below. There is an additional cost of CDN $75 for the lunch cruise. If you will be joining us on the brunch cruise, we recommend that you book your flight departing Nashville any time after 5:30 PM to allow you time to return to the hotel after the cruise, collect your luggage and catch the next shuttle to the airport. If you will not be joining the brunch cruise, then you can book any return flight back to Toronto. Airport shuttles depart the Gaylord Opryland hotel every 30 minutes and the transfer is included as part of your tour package. $100 deposit required to reserve your seats. Deposit is non-refundable once paid. Final payment is due by Aug 8, 2019. Reminder emails will be sent a few days before due date. Final payments are not refundable once paid. 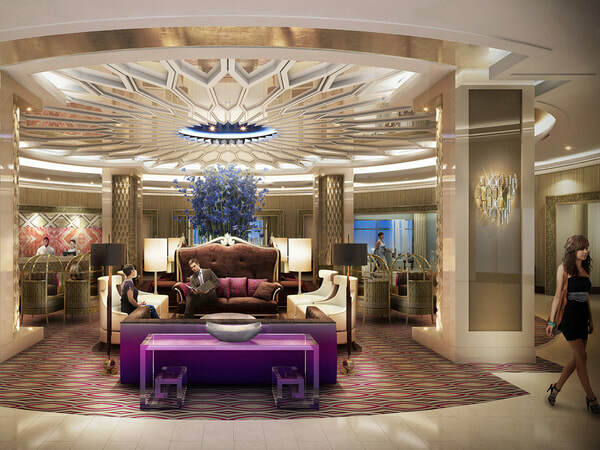 We gather in the lobby of our hotel, the NEW Guest House Hotel at Graceland at 2:30 PM. Inspired by the same warm southern hospitality that Elvis Presley always showed his guests and just steps away from the Graceland Mansion, every aspect of this hotel reflects Elvis’ personal style and the unique character of Graceland. Depart for a 2-hour tour of Memphis. Also included this afternoon is a visit to the Memphis Rock ‘n’ Soul Museum, the only museum which tells the complete story of a musical sound that changed the world. A welcome group dinner is included at King’s Palace on Beale Street. Start with a full breakfast buffet at your leisure, included in the tour.. Then enjoy the full Elvis Experience tour at Graceland. The all-new Graceland visitor entertainment complex offers a fully-immersive Elvis and pop culture experience to celebrate the most popular entertainer of all time. 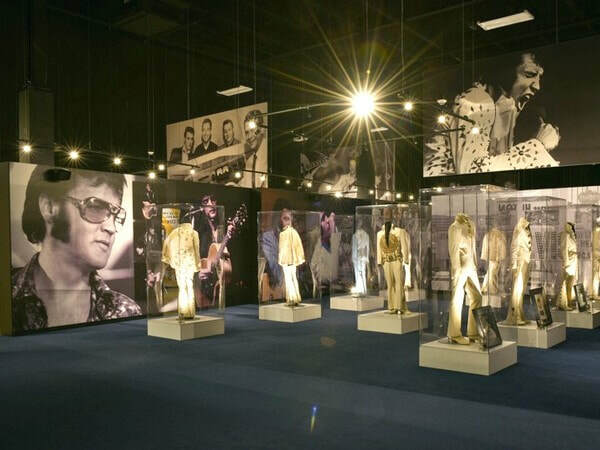 While the Graceland Mansion Tour will present the personal side of Elvis’ life and home, the entertainment complex has engaging exhibitions and visitor experiences in a 200,000 square foot, state-of-the-art facility. This afternoon tour Sun Studio, home to the recordings of B.B. 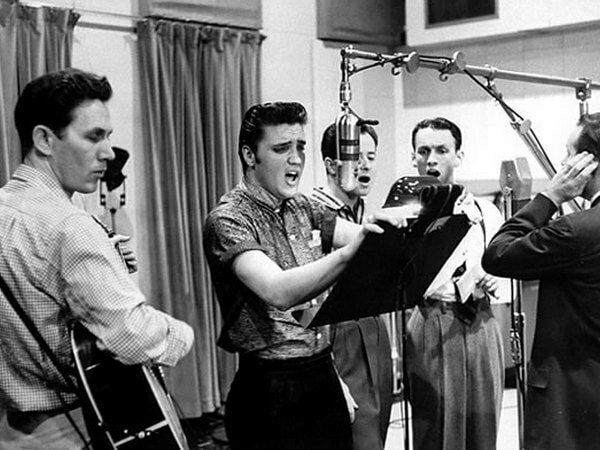 King, Johnny Cash, Elvis Presley, Carl Perkins, Roy Orbison and Jerry Lee Lewis. 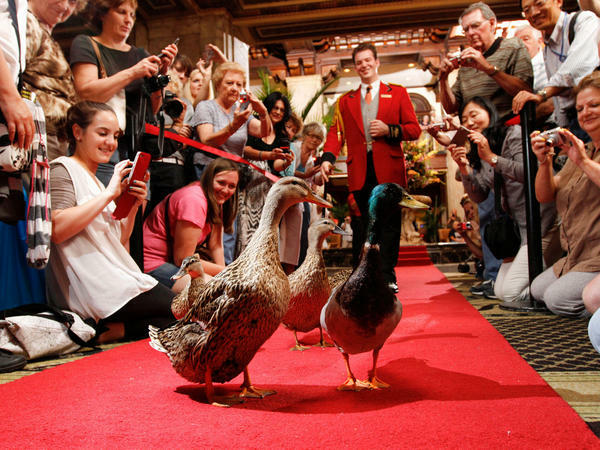 Stop by the Peabody Hotel to see the famous March of the Ducks! Free evening on Beale St., dinner on your own. Again, start with a full breakfast buffet at your leisure. Then we checkout and the bus starts driving towards Nashville. 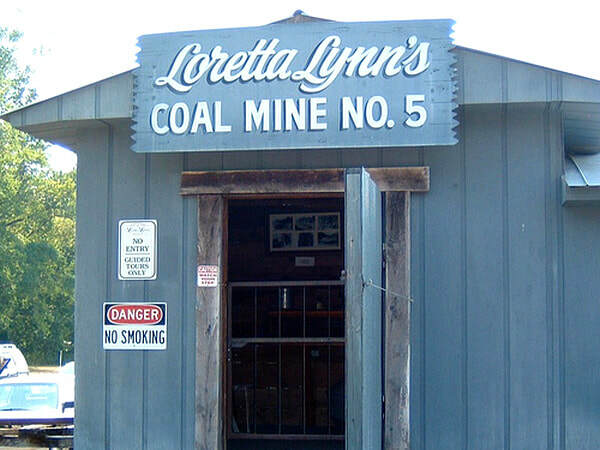 Along the way, we stop at Loretta Lynn's Plantation Home, simulated coal mine and her museum. 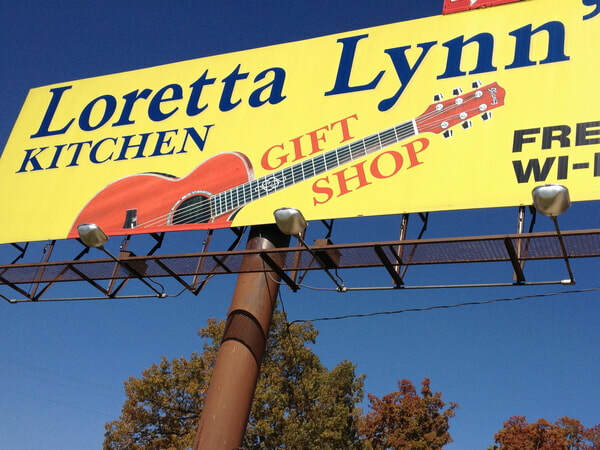 Enjoy some genuine southern cooking at Loretta Lynn's Kitchen Restaurant, included in the tour. After our lunch stop get back on to the bus for the remainder of the drive to Nashville and our home for the next 2 nights, the spectacular Gaylord Opryland Resort. This place is huge! Over 2,800 rooms, 15 restaurants, 9 acres of indoor gardens, the Delta River (yes, the river is inside the resort and even has boats and you can get a boat ride for a fee), entertainment & more. After checking in, we will be taking you on a walking tour of the resort. Yes, you need it so you can navigate your way around the resort. Tonight is a free evening for you to enjoy the resort. Dinner is on your own. After the included breakfast, start with a guided tour of Nashville and learn about Music America's City. Tour includes the State Capitol, Riverfront Park, The Ryman Auditorium, the Parthenon, Music Row’s Recording Studios, Vanderbilt University and many other points of interest. The tour ends at lunchtime. Lunch is on your own, there are many options along historic 2nd Ave.
1,000 Hits", where music legends recorded timeless songs. Stand right where Elvis himself stood to record over 200 songs. 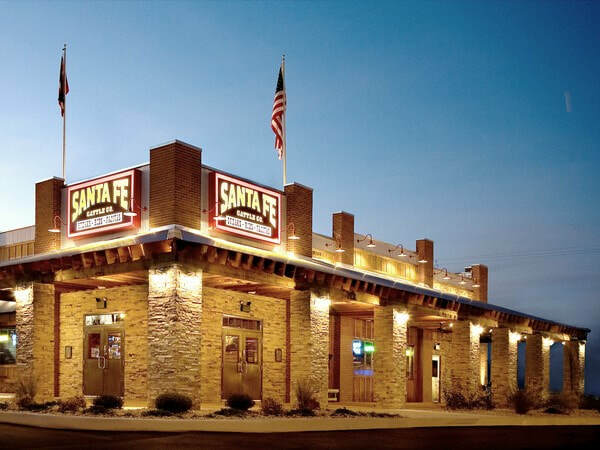 Dinner this evening is included at the Santa Fe Cattle Company. 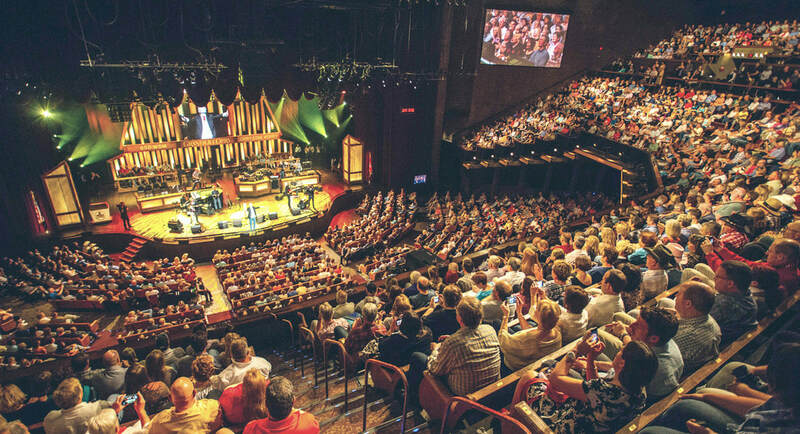 Following dinner is the evening performance at the Grand Ole Opry – Nashville’s must-see attraction and the world’s longest running live radio show. As the world's home of country music, the Opry always offers an incredible mix of talent to create an American Country Music experience like no other! All good things must come to an end and alas, today is the last day of the tour. If you will be staying to enjoy the optional Sunday Brunch and Show experience aboard the General Jackson Showboat, then you have a lazy start to the day. Start with the included breakfast and then enjoy the resort. Check out by 11 AM and deposit your bags with the bell desk. And then catch the free shuttle to the General Jackson dock, only about a 10 minute drive from the resort. 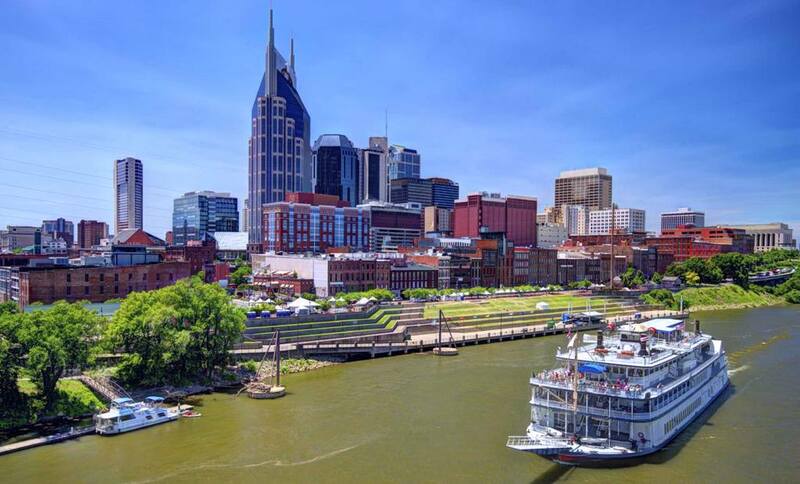 Your cruise lets you experience Nashville as it can best be seen from the beautiful Cumberland River. While “rollin’ down the river,” you’ll enjoy stunning views, a delicious meal freshly prepared by the chefs and toe-tapping entertainment in the two-story Victorian Theater in the center of the boat. One of the largest showboats ever built, with its elegant lacy filigree and stately design, the boat is reminiscent of the opulence of the American Victorian era. And if you will be leaving us this morning to return to Toronto, be sure to check out by 11 AM and catch the airport shuttle. The bus runs every 30 mins and vouchers for the airport shuttle will be included in your packages. So on this day say farewell to new friends you’ve made, but not to the memories that will remain with you for a lifetime!